Thomas L. Johnson (Thomas Lewis), b. 1836? Africa for Christ. Twenty-Eight Years a Slave. 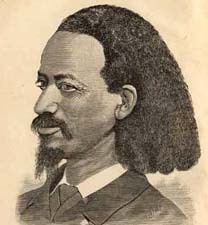 Thomas L. Johnson (Thomas Lewis), b. 1836? Africa for Christ. Twenty-Eight Years a Slave. London: Alexander and Shepheard, 1892. African American missionaries -- Africa -- Biography. African American missionaries -- United States -- Biography. Baptists -- Missions -- Africa. Freedmen -- Virginia -- Biography. University of Virginia Libraries provided the text for the electronic publication of this title.